FRANKFURT (Bloomberg) -- Aston Martin and Daimler are holding talks to extend their cooperation to building an SUV as the UK carmaker seeks to broaden its lineup, people familiar with the matter said. Daimler agreed last year to acquire a stake of as much as 5 percent in Aston Martin as part of an agreement to share technology with the England-based sports car maker. Mercedes's AMG high-performance division will develop V-8 engines with the UK company for Aston Martin's next models. As part of a move to extend cooperation between the two automakers, Daimler may also share the underpinnings of a new large SUV with Aston Martin, said the people, who asked not to be identified because the discussions are private. Talks are in an early stage as the SUV won't come to market for another three years and Aston Martin is still weighing whether to use its own technology to develop a crossover, one of the people said. Erich Hauser, a London-based automotive analyst at International Strategy & Investment Group, said Aston Martin "really needs a technology partner" to update engine systems as well as build SUVs, "the fastest-growing segment in the premium car game." But he added: "I'm just not sure what Daimler gets" from the partnership." Daimler CEO Dieter Zetsche told Reuters in January that the company would be open to sharing its GL offroader platform with Aston Martin, and that would depend on Aston's product plans. Aston Martin unveiled a Lagonda SUV concept based on the Mercedes GL class at the 2009 Geneva auto show. Last year, Aston Martin teamed up with Daimler's high-performance Mercedes-AMG division to develop a new generation of bespoke V8 engines, and its Mercedes-Benz unit for electronic components supply to the British firm. Daimler in return took a non-voting stake of up to 5 percent in Aston Martin. Aston Martin is the only global luxury-auto producer that doesn't belong to a larger manufacturing group. Following investment firm Investindustrial's purchase of a 37.5 percent stake, the carmaker laid out plans in 2013 to spend 500 million pounds ($832 million) in the next four years to challenge its rivals. Maserati, Bentley and Lamborghini are among supercar makers developing SUVs to expand in the United States and emerging markets such as China and Russia to attract a growing class of wealthy consumers. Longer driving distances and larger areas of undeveloped land also make SUVs popular in all three countries. Representatives for Investindustrial, Daimler and Aston Martin declined to comment on plans for a joint SUV. Investindustrial Chairman Andrea Bonomi said last year he wants to expand Aston's lineup while establishing partnerships to limit development costs. Aston Martin is searching for new CEO after Ulrich Bez stepped down at the end of 2013 following his 70th birthday. The automaker won't make any final decision on its model strategy before naming a new CEO, one person said. Aston Martin has a target of boosting annual sales to 7,000 vehicles in 2016 from about 4,000 cars in 2013, with growth propelled by catering to growing demand in Asia, North America and South America, people familiar with the matter said last year. Investindustrial, which sold Italian motorcycle maker Ducati to VW Group's Audi division in mid-2012, completed the 190 million euro purchase of the Aston Martin stake in 2013 and gained management control of the carmaker. 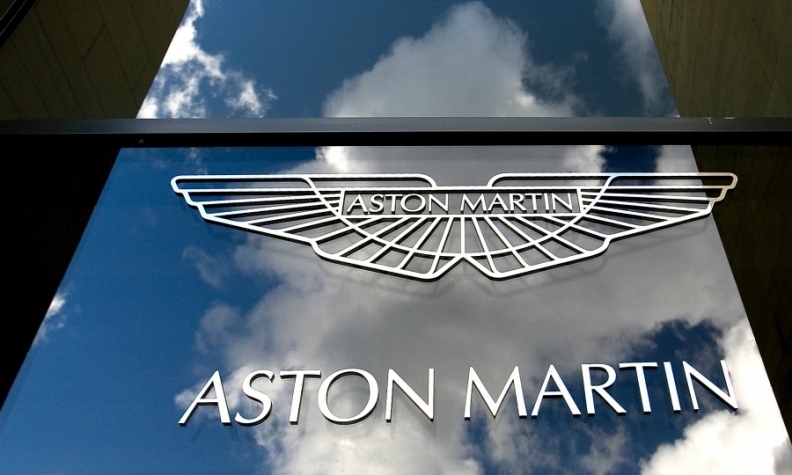 Bonomi pledged to remain an Aston Martin shareholder for at least 10 years. Aston Martin's other owners are Kuwaiti companies Investment Dar and Adeem Investment Co., which bought the UK carmaker in 2007 from Ford Motor Co.